These mini cheesecakes are made with cake mix for a deliciously indulgent, fool proof treat. Baked over a SNICKERS® Crispers crust, these mini desserts are perfect for holidays, family gatherings or even Game Time! Indeed, this sentiment, meant to convey how very seriously we take our favored pastimes, has been echoed throughout history. As a student of Plato, I’m reminded of how Socrates viewed sport and athleticism as a partially intellectual undertaking, especially in such works as The Republic and The Timaeus. Socrates himself, Plato records, was a citizen-soldier for some time. In The Protagoras, the work’s namesake was a philosopher of the then prominent Sophist school of thought, as well an avid pankrationist of some renown. For the unfamiliar, pankration was a combination of Hellenic boxing and wrestling, but with the addition of leather knuckles, and the only rules being bans on biting and deliberate eye gouging, though in Lakedaimonia neither of these rules were enforced as they were considered effeminate. Fast forward a few centuries, and Rome gave as a rather accurate foreshadowing of modern commercialized sport. The first truly vast stadiums devoted to sport were erected throughout the known world, with athletes, both free-men and slaves alike, achieving what we would today recognize as super-stardom. Wealthy businessmen and statesmen were fond of sponsoring events, patronizing athletes, or putting up funds for new facilities so as to see their names attached to the new stadiums. Any of this sound familiar yet? I’ve recorded here on Living the Gourmet my own family’s love affair with the games, especially the football season. While I do share their enthusiasm, mine is more from the perspective of the ‘interested observer’ and eager hostess. For example, with my niece just starting high school, team-spirit is all the rage, and naturally I had to invite them over for a start-of-the-season Big Game party. I’ve outlined some of my game favorites here on Living the Gourmet, from Jalapeno Poppers to Big Game Stadiums and Parmesan Chicken Bites. However, this wasn’t a full on ‘endless trays of food’ Game Time Party. Instead, this was more a ‘Game Time dessert.’ Regardless, I wanted it to feel special. First things being first, for a dessert party a good cup of coffee is a must, so I picked up two flavors of artisan roasts from my favorite Italian pork store – Imported Columbian and a specialty House Roast. 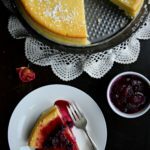 From there, I decided to take my own advice and fall back on an old family favorite for the main attraction – cheesecake. This being a Big Game ‘Dessert Party,’ I still wanted to keep the cheesecake bite sized. I also wanted it to be blatantly decadent. No calorie counting during the game, after all. 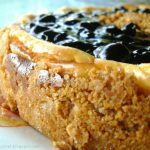 To do this, I made a quick supply run to Walmart where I picked up a yellow cake mix, and a few SNICKERS® Crisper packs, which are a delicious combination of crisp rice, peanuts, and caramel coated in milk chocolate – perfect for what I had in mind for the cheesecake. Once back home, I prepared the cupcake crusts as shown below by blending graham crackers with the SNICKERS® Crispers. This blend would also serve as the cupcakes crumb topping. From there, I prepared a cheesecake filling with cream cheese, lemon juice, eggs, vanilla, and yellow cake mix as shown below. Now, I’m fond of believing that in all art forms mistakes do not happen. The kitchen is no different. Upon preparing what I outlined above, I found myself with a cheesecake batter roughly two to three times larger than what I had anticipated. Thus, after filling up the cupcake tins, I decided to prepare an actual cake in my heart-shaped spring form pan with the remaining batter and crust for my niece to take home. Combine the graham cracker sheets, butter and SNICKERS® Crisper bars in a food processor and process until crumbly. In a large bowl, combine the cake mix, eggs, vanilla, lemon juice, sugar, milk, cream cheese and butter; mix with an electric mixer until smooth. Press the graham cracker crust mixture into the bottom of each cupcake holder then fill with the cake batter. Finish off each cupcake with more graham cracker mixture. Bake 18 – 20 minutes or until the toothpick test comes out clean. Needless to say, we had a great time, and cheesecakes were exactly what I had planned. What are some of your favorite Big Game desserts? We would love to hear from you! Don’t forget to pick up the new SNICKERS® Crispers for Game Time! What a great idea to have a dessert party, looks delicious! Yummy! And so fun! I have never actually heard of Snickers Crispers before but they sound so good! 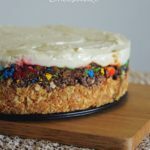 I've never heard of putting cake mix in a cheesecake before! I bet it's so delicious. Love the sound of those Snickers Crispers. Snickers are my favorite candy bars so any way I can eat them I do. 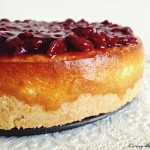 I love how you used a box mix to create these cheesecakes. Easy to make and delicious to enjoy. Yum. Socrates and Snickers! 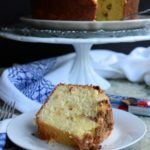 What a fascinating post to read...truly enjoyed it and the recipe looks pretty darn yummy too! 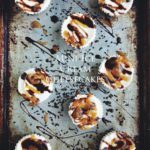 I am loving all the snickers recipes around at the moment and putting them in to a cheesecake is just genius. This is proper indulgence food!